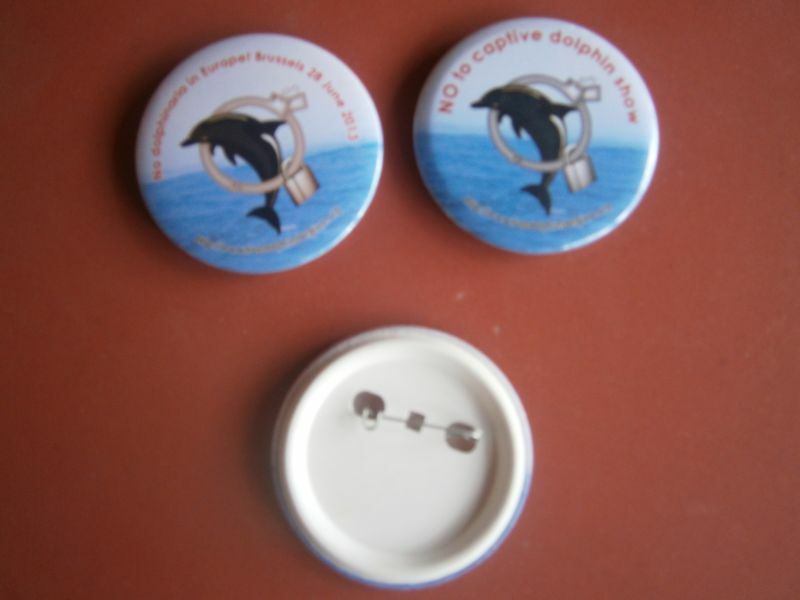 We have created new products (pins). We accept any design for to your event and need. One thing that makes me happy is that seeing children in the rural area going to school. I believe education will harvest eternal smile in the future of those children. We can smile when children laugh, without being confronted with the problem. However, when they grow a variety of issues they must face. Thus, it is our duty to facilitate them so that they can go to school and have a brighter future. To me, there must be more children attending school in this new school year coming shortly. For these efforts, today accompanied Bapak Ukar, the community leader (RT) I made a community visit to make sure if there were children do not gain education. With our bike we went down the street winding and steep. 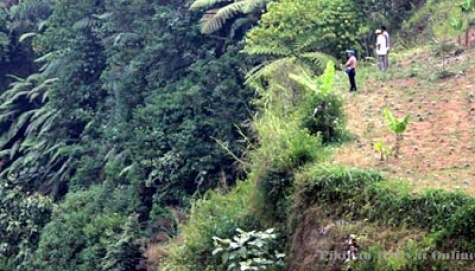 We had to be extra careful given the impassable terrain is quite vulnerable. Last night rain had made the road slippery prophecy. Along the way we enjoyed the beautiful trees. All are green. Finally we arrived at the community houses and took a rest after a fairly exhausting journey. We were pleased to meet and discuss with Mr. Budiman, a junior teacher to reassure parents and children about the importance of education. We also had a nice chat with the villagers. Today was a tiring day but meaningful one. It’s life to care. 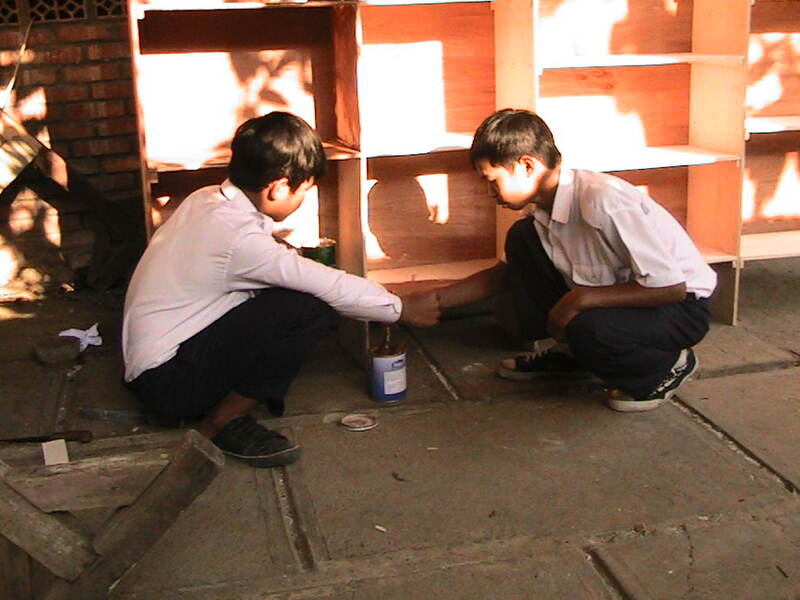 Education for less fortunate children through volunteer schools in disaster areas. Without exception every child has right to have education. In theory, the state guarantees the right of children to education as outlined in the Constitution of 1945. However, in practice other facts prove that there are millions of children due to various barriers have not had access to education. In general there are 3 (three) main barriers, economic barriers, culture and geography. Economic barriers are community income levels that they are not able to finance their children’s education. 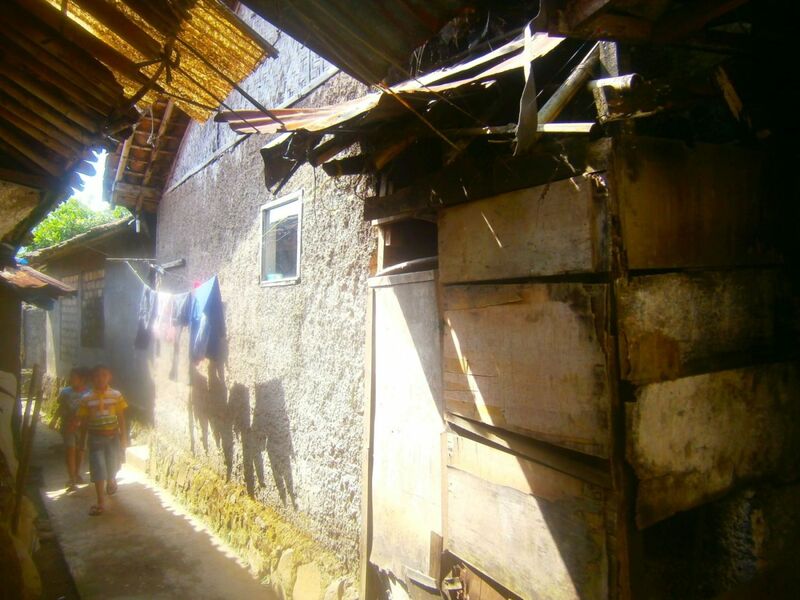 These conditions especially for orphans and those whose parents do not have a steady job. Cultural factors is a view to place education is not something that is important for children especially for women. There is a common view within the community that is no matter how high on level she will eventually return to the “kitchen”. While geography factor is a long distance from residential to schools as well as dwellings geography prone to natural disasters such as earthquakes, hurricanes, floods and landslides. 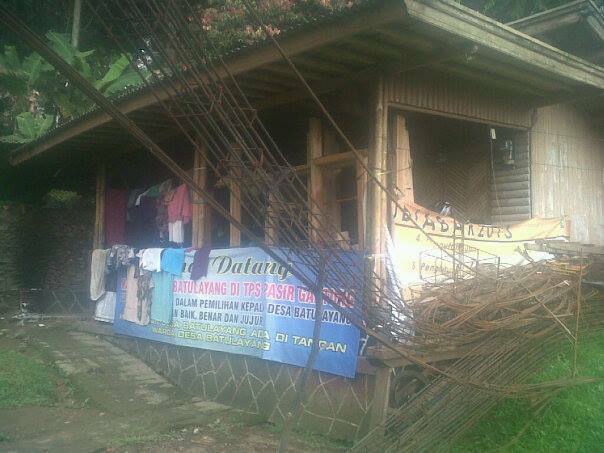 To overcome these obstacles, in 2012 the Diva Tunas Bangsa Foundation (Yayasan Diva Tunas Bangsa) opened Diva Tunas Bangsa Vocational High School. The opening of that institution has been helping rural children gain an education so they can be equal with other children and in turn forward their future will be brighter. 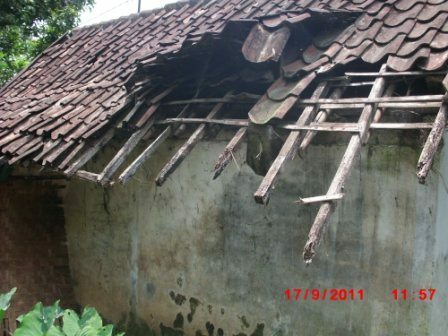 The opening of the school is still facing problems, to mention there are two main problems, namely the cost for children who can not afford and orphans, operating costs and efforts to ensure the safety of students as a place where the school is located is an area prone to earthquakes and disasters, especially hurricanes. 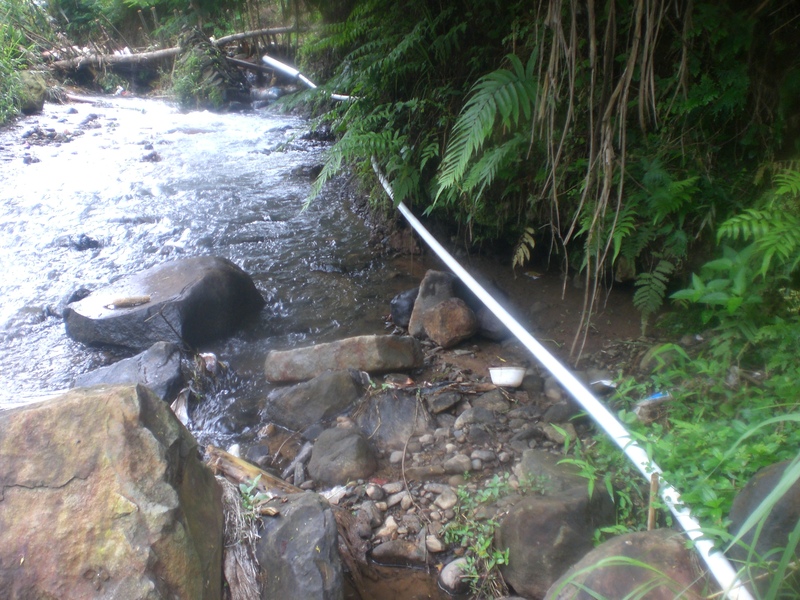 In 2012 in the local area has occurred landslides and hurricanes and resulting in loss of property and lives. Therefore, special efforts are needed so that the continuity of education and children’s safety could be guaranteed. Alternative is to do with foster parents and to seek training to mitigate the negative impact of natural disasters. There is close connection between supply and demand in captive dolphin show (circus). As long as the demand exist and so does the show. Unless public are educated how captivity is cruel, better changes are almost impossible to happens. As a part of the effort to end the show, I have been raising of awareness for not to visit marine parks (dolphinariums) through schools. This activity will be continuing with more schools get involved both nationally and globally. Fact shows, visiting such show has been school agenda in the name of what they call “a part of education”. Thus, this very important to raise awareness through schools. 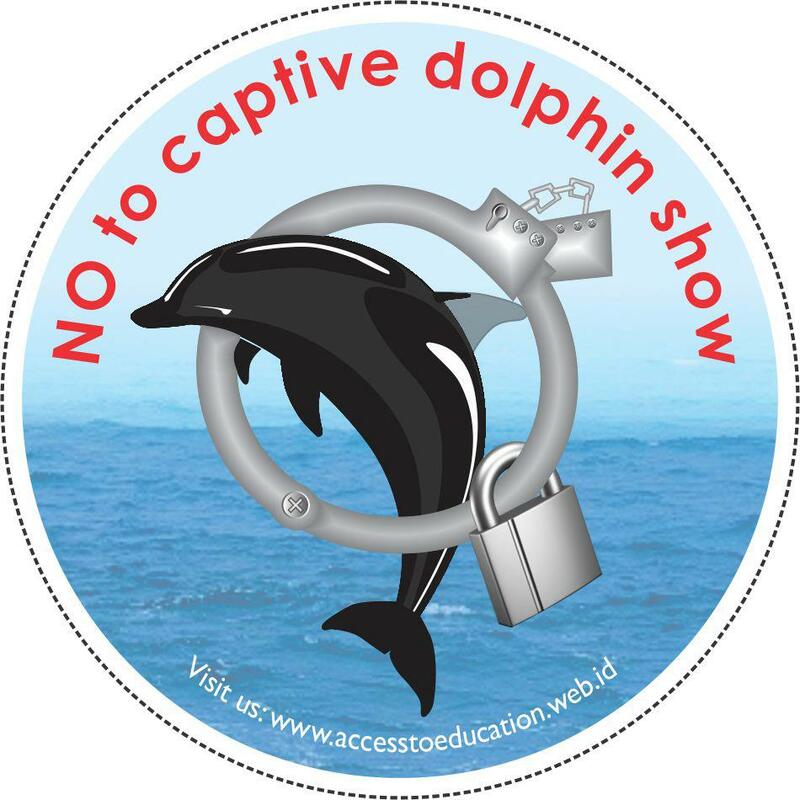 I have been informed, in the Philippines for example, as many as hundred students visit captive dolphin show in a day. It also happens in almost part of the world including Indonesia. Let’s end this cruelty by supporting my activity or spreading the message at the closet to ourselves: the family and neighbor. November is really busy month for us as beside we had to finish the production activities we also had to market, check financial status, and write final report about our enterprise. In addition to these assignments, we had to give manual printing training to the teams. This training will enable the team to innovate our products. Yes, product innovation should be our specific touch. Even though this month put us on the most stressing condition: overload works, but as November rain comes things turned into brighter place . The Project Leader had always pour his cool words that keep us on spirit. He reminded us that we should cooperate to be on the track. Think first think and together we can were the two powerful phrases! In this blog you can read our full activities during the month. Our hectic life of our business started to shine when market goes..
As we have written on October blog entry, the rest of November would also be used to make bag from combined with plastics. This activity seemed to be the most difficult time for the team. 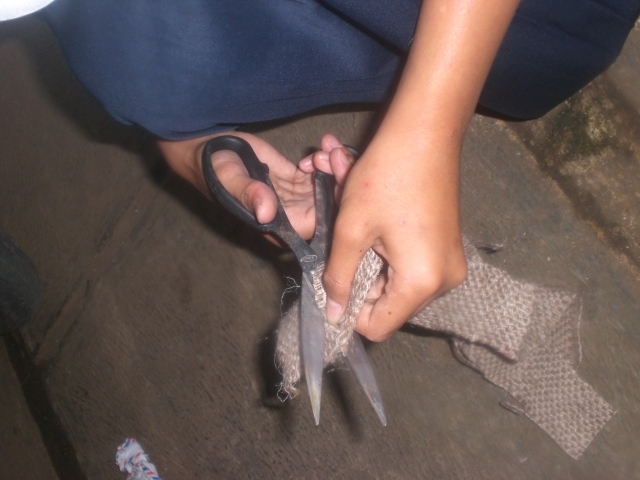 Fortunately, as some of the students (grade VIII and IX have been equipped with sewing skill there was no serious problem arose. We could run the activity well. In order all activities could run smoothly we divided the team into some sub-division according to who did what systems. Hence, all the team work did their part accordingly. 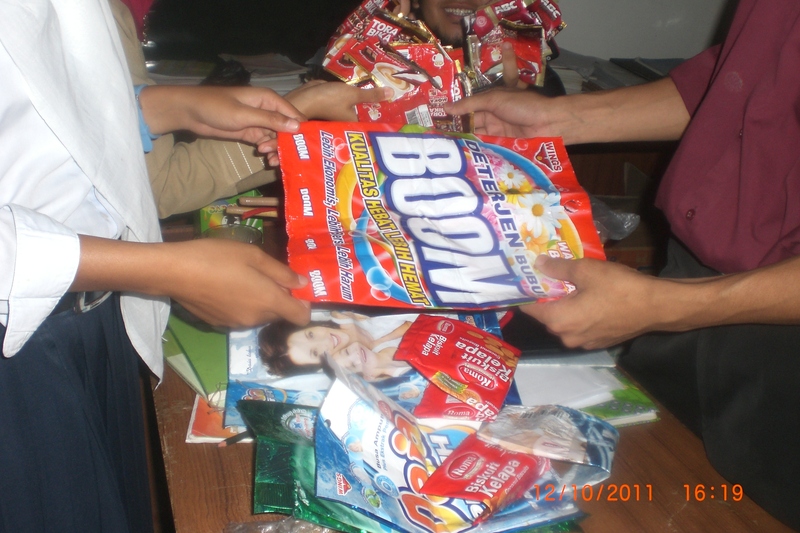 There were two main activities: making bag from plastics waste and making bag from gunny combined with plastics waste. The process of making bag from plastic waste was almost the same with the making of pencil case as we have explained in previous activity. 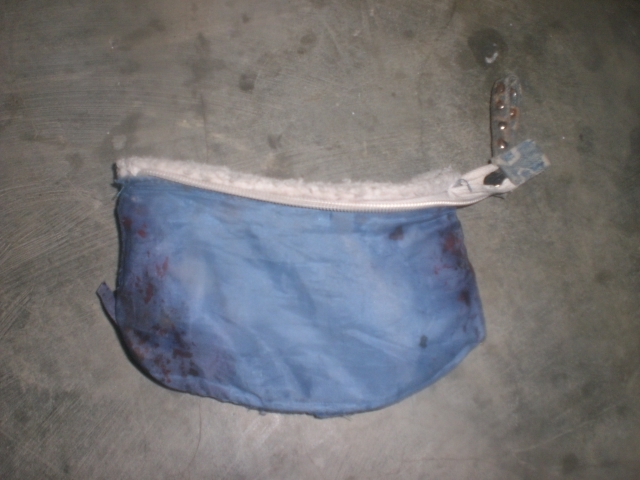 The final product of the activity was a bag as shown below. 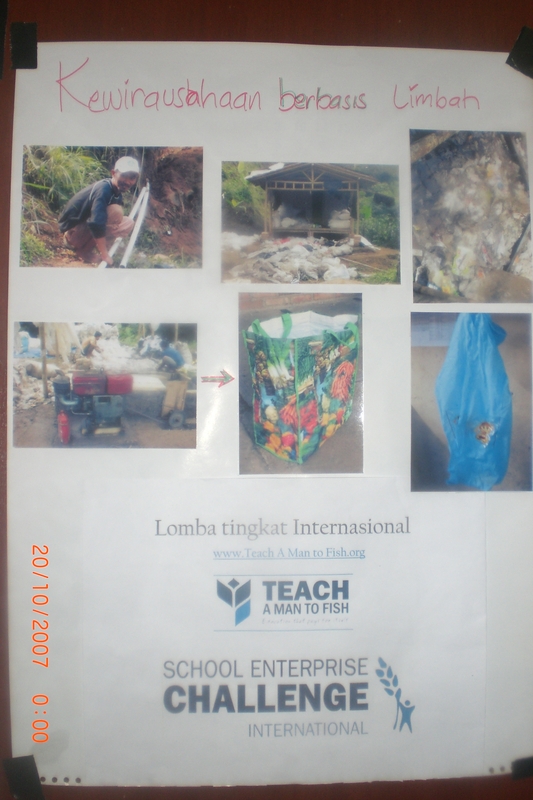 Another type of school bag we made was that bag made from gunny combined with plastic waste. 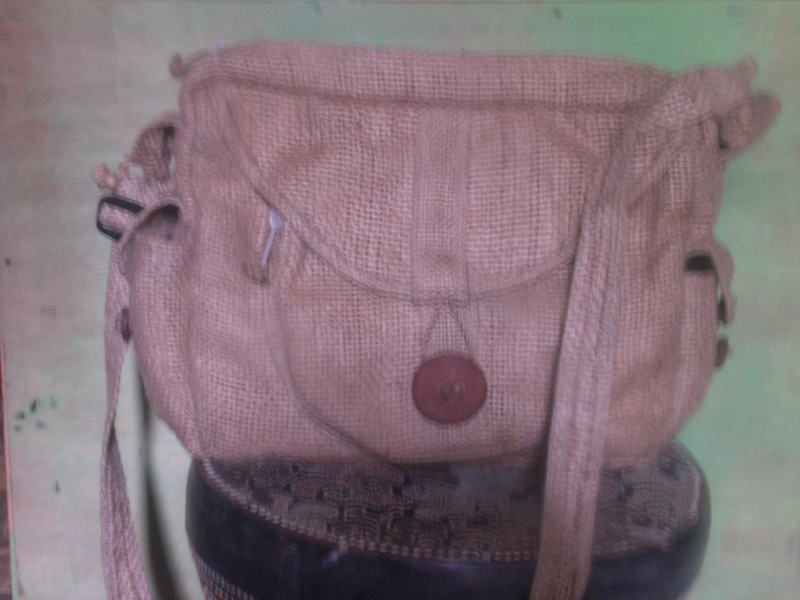 We came to decision of making this kind of bag was that we found that “gunny” has not been recycled into other stuffs. It took two days for the team to finish the bags. The activity was carried out on week end starting in the morning until afternoon. 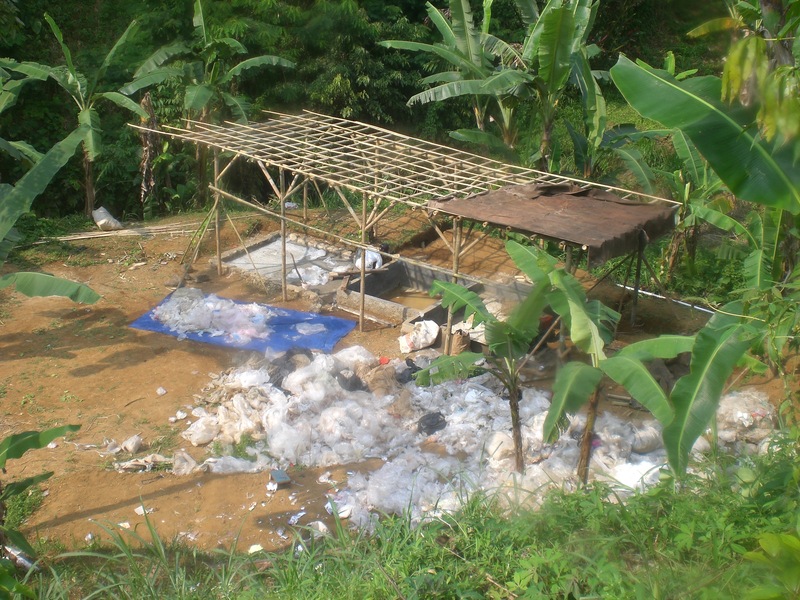 The process of making gunny-waste-based bag was almost similar to the process of plastic waste based ones. There was a slight difference of the basic material used. 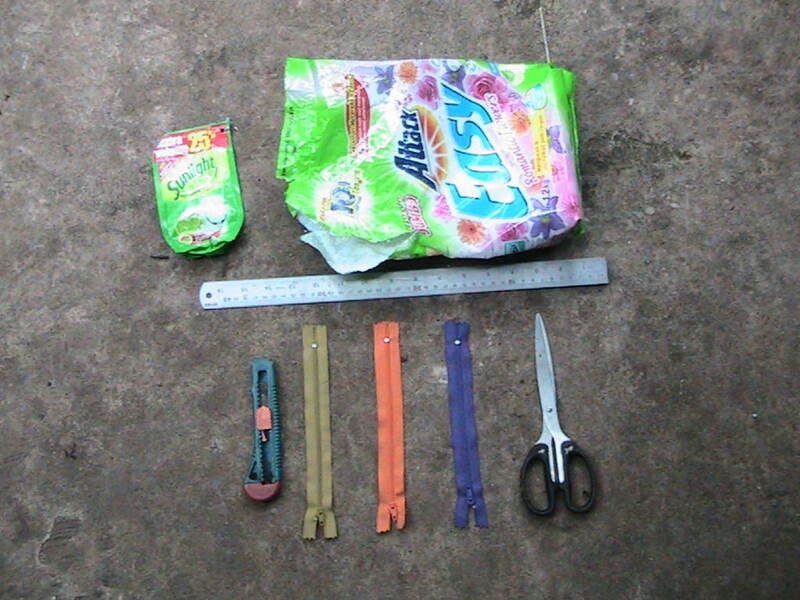 Most of the basic materials for this bag were organic waste and can be found easily at our surrounding. 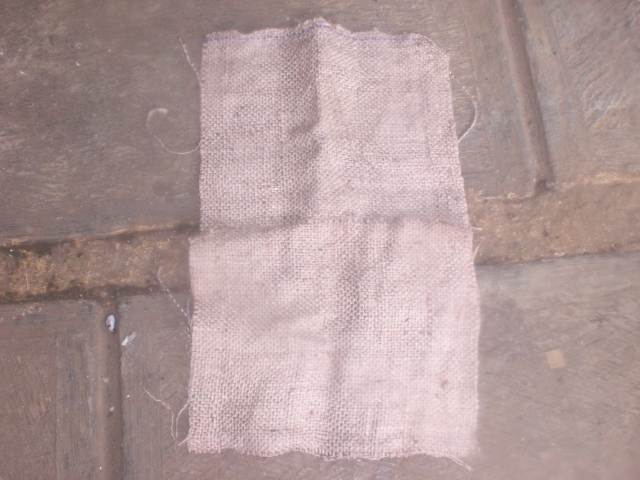 Followings are basic materials and step to make the bag. 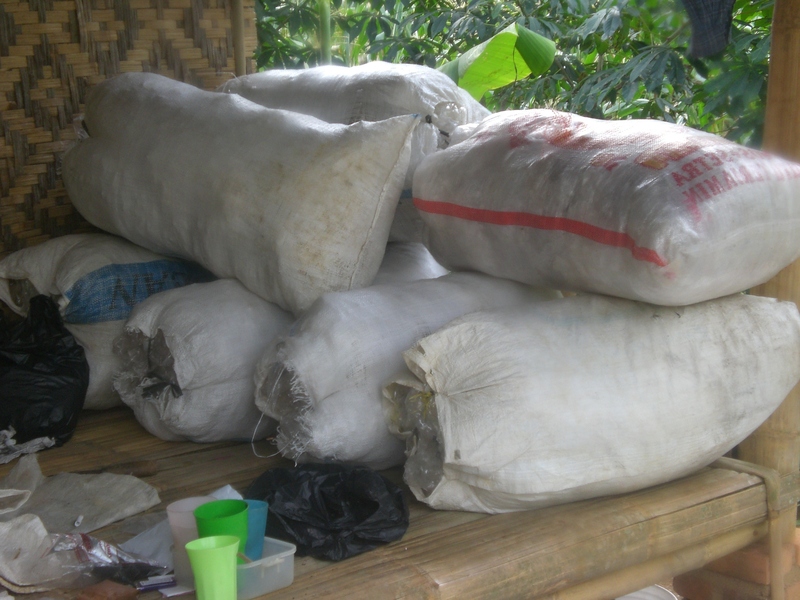 As result we could made as many as 15 plastic bags and 10 gunny-plastic bags. 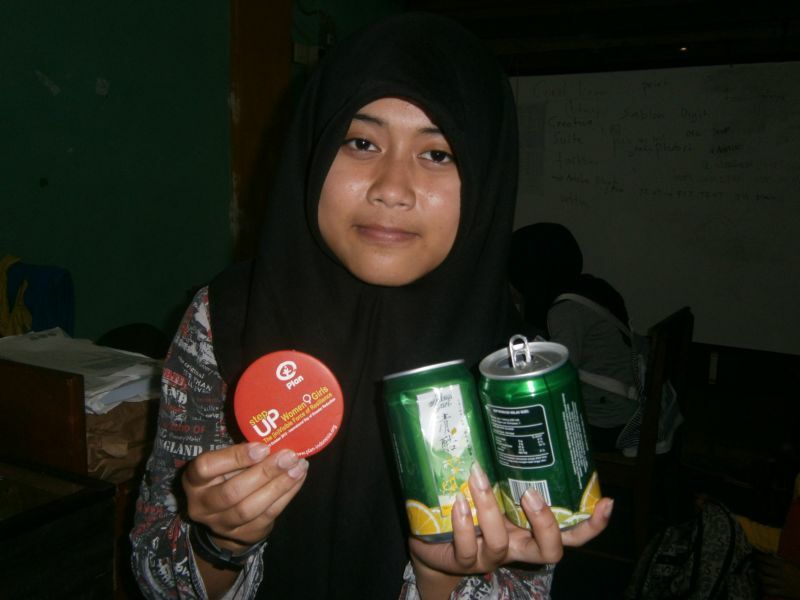 The team agreed to market some of the products to our students and the rest would go to other schools. These two both marketing strategies we hoped could broaden our market place as well as a mean to promote a more eco-friendly way of living. Based on our observation students were really proud of being able to wear school bags they produce themselves. When I asked a student what he think of the bag, he say,” I like it very much. I am proud to wear. It’s a simple promotion on how we care of environment”. Considering that community has an important role in promoting eco-friendly life style, we decided to make bag from plastic waste for them. Those bags are especially used when women go to market. 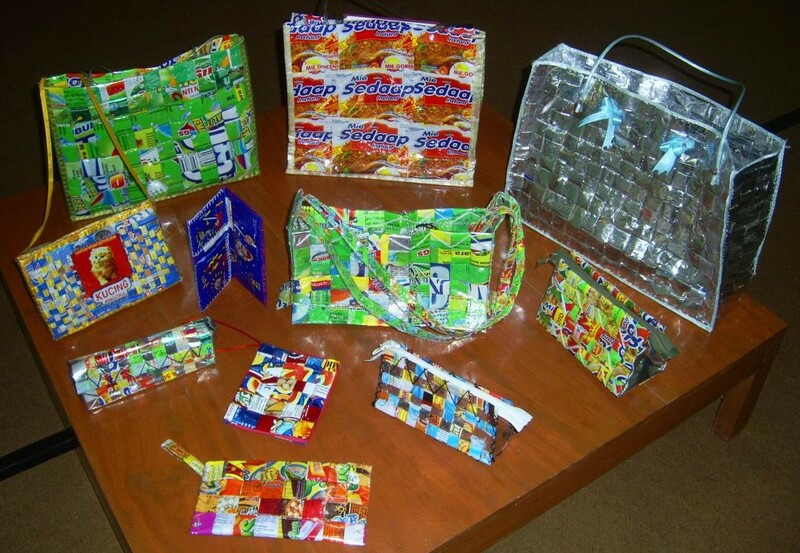 The process of making such bags are the same with plastic waste-based school bags. 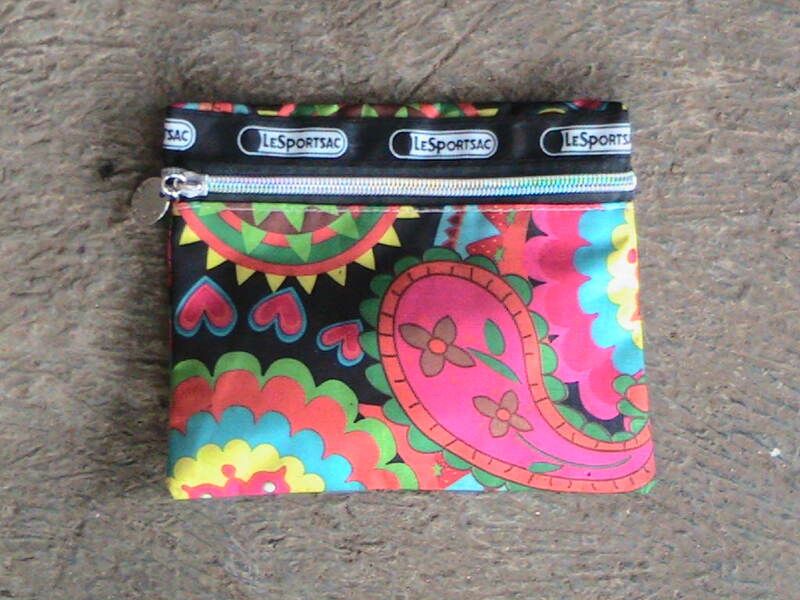 Nevertheless, this kind of bag is designed with special touch. 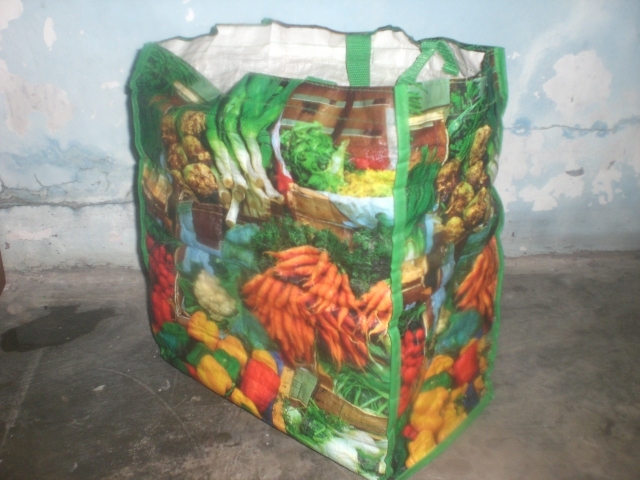 We put interesting pictures on the bags such as fruits, vegetable, motto, view or any draw to attract people’s attention and as part of sustainable living-style. The following photos figure out how those bags are made, what materials are needed and how end product look like. We believe “innovation” is an important part of our business. By innovating products we can compete and win market. Such innovation can be made ranging from the simplest to the hardest one. As we had explained in last month blog entry, we would differ our product by giving choices to the consumers according to their preference of the bags we design. To meet the customers’ expectation on November 11 and 12 we had had manual-printing training for the production team. 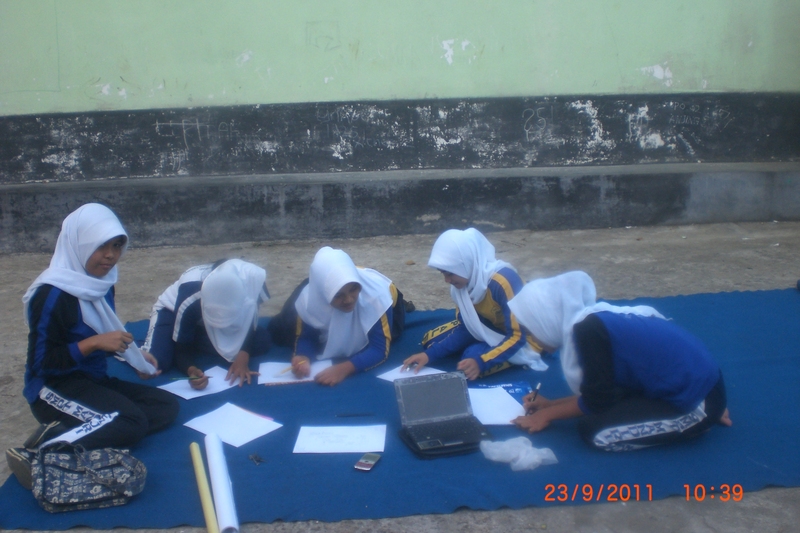 This activity was carried out in the morning before students went to schools and last for two days. The training materials were theory followed by practice. During the training the students shown great excitement and followed the activity happily. 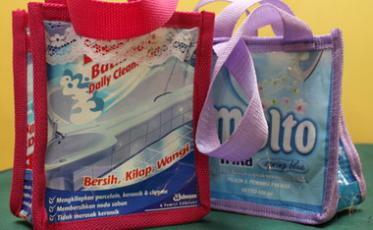 As the result of the these activities we were able to produce bags and other products with our own pictures designs. Following photos show activity of the trainings. 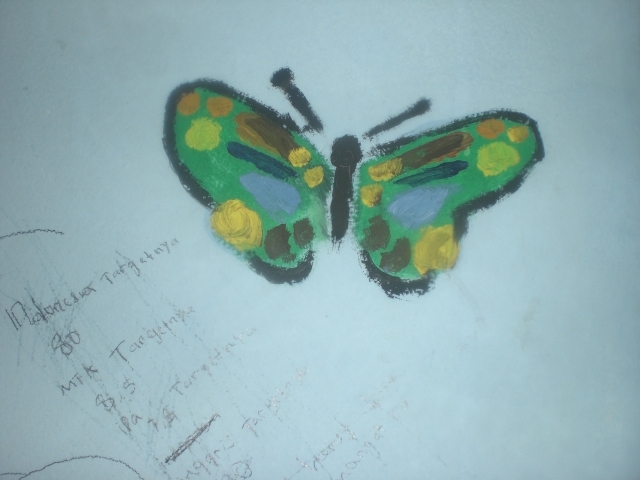 The training was really useful for the team because through the program they were able to mix paint into more colours and was an opportunity to express their though. Following are some drawers the team made and will be printed out on the next products. At the time we are writing this blog we have produced many kinds of products with different designs and different purposes as shown on the following photos. Time flies so fast when we have good time! Yes, it has been almost seven months we have been blogging.Through the months we have been doing and learning a lot of things: business planning, fund raising, product processing, and product marketing. Those activities keep us busy and we hardly have time to check our financial status, how much much money we had earned from the business. We almost forget to give attention and opportunity to Marketing and Financial Unit to report their work. We then asked the team to settle a short discussion on the issue. Based on the financial report made by the team, we learn that our business has been running very well. We were so proud of the team that had made money as market goes. We have been successful networking with shops and school in addition to student to student sale. The report was also great source from where we studied that student to student marketing strategy was the most successful one. In the future we need to promote our products in such way so that more people would use our products. The product making training held last month has enable production team able to produce our business product. Thus, the activity on October will be focused on product production so that in early November we will be able to market our business. Starting producing has also brought us to other supporting activities such as collecting raw material, selecting suitable materials, empowering business team, and over all management. In this October blog entry, we would like to give full report through the month and will be updated accordingly as agenda may change unexpectedly. Today some teachers attended farewell and welcoming ceremony of old and new Head Schools. We attended the even as we thought that our business should be known and supported by the new Head School. During the ceremony we thank the old Head School, H. Dedi Haidir for his continuing support to our business. We also explained the business to the new Head School, Mr Abdullah and hoped he support it. Producing activity will of course need raw materials as much as possible, or at least can cover the number of production we were planning. To support the activity, team business had meeting discussing on how the raw materials be collected, kind and number of product we produce. The team collaborated with Environmental Science teacher then decided to call on all students, grade 7, 8 and 9 to bring plastics waste as part of the lesson. Those who bring it will get mark for the subject. 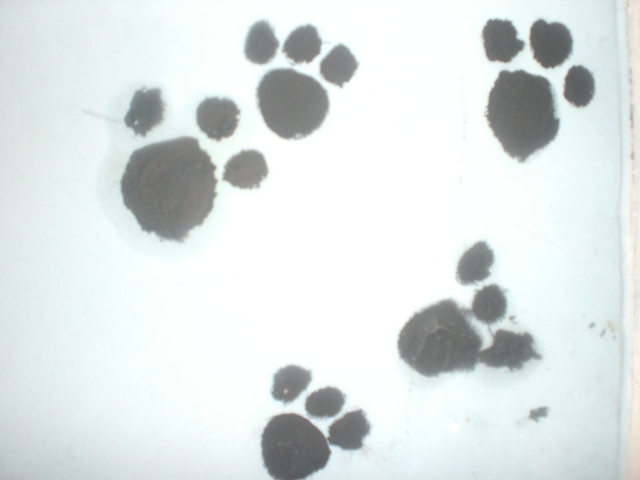 Marking systems is arranged according to amount and quality of the plastics. All students were excited not only as they will bring waste they left at home but also they get involved in the business. 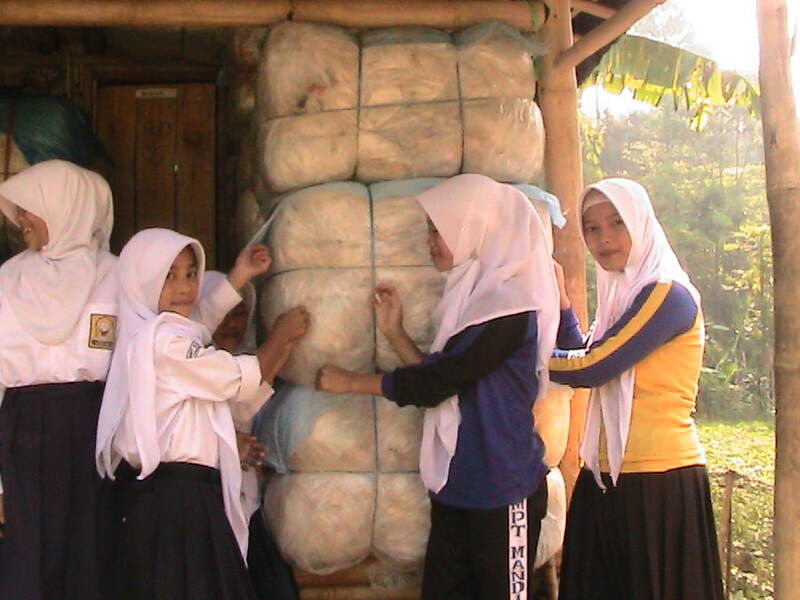 At break time some students living close to school begin to collect plastics they took from home. This shown that they were very interested in taking part of the activity. As they collect, the Business Team will register student’s name and amount of plastics collected. 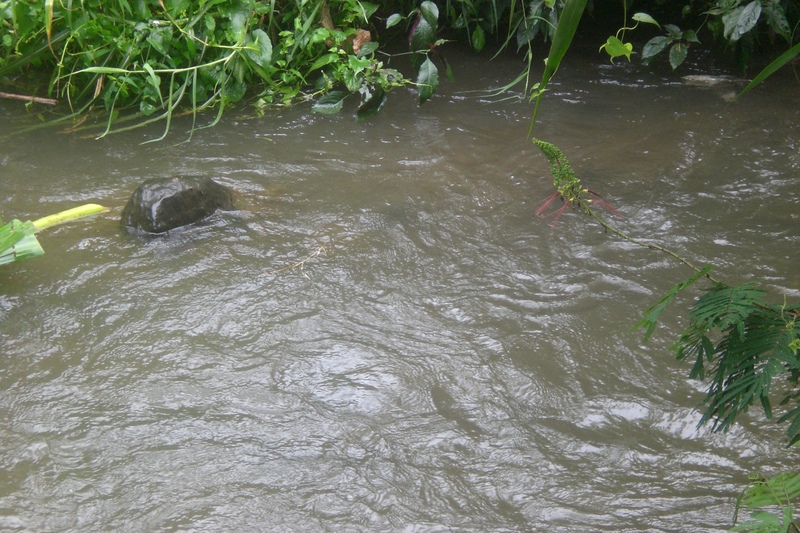 The register will the be reported to the Environmental Science teacher for further action. We thank School Enterprise Challenge to have this activity in which all students get involved to keep their environment clean. We are planning in the new school year to put waste management into our curriculum. The process of plastics collecting and registering is continuing for the rest of two weeks. Day by day number of plastics from students are more and more. We have many kind of plastics waste ranging from waste of daily need, weekly need and monthly need. 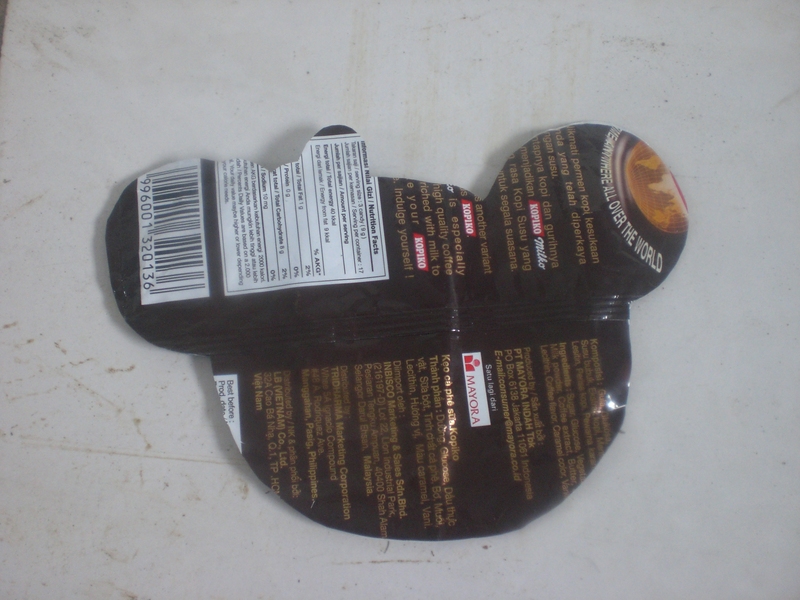 The most plastics waste were coffee-package waste, soap, and followed by plastics cooking oil package. Up to October 15 we have collected as many as 17 kg of plastics waste from about 100 students. We are pretty sure if this activity is carried out through the year we could be able to free environment from plastics waste. We are planning to produce more products as more products we produce there less waste left!. The rest two weeks of October was marked by a very good news. Yes, we came up as the runner up of September photo competition hosted by School Enterprise Challenge. We have had more than 400 “likes” to our photo. 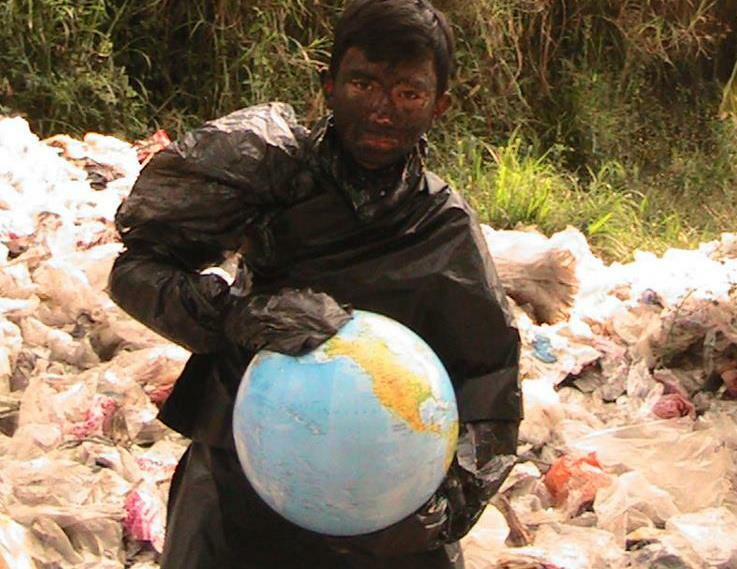 The picture was students wearing plastics holding a globe with background plastics waste we collected. This picture represents what our activity all about. If those plastics are not managed we believe the whole world will be covered by those waste. Our business is part the solution to this problem. As the news was being told all students particularly the business team were listening very silently. “This is a very good news, as you all are aware that we are taking part on photo contest. And we came up as…the….the runner up”, the Project Leader explained. All students and teacher were very happy to hear the news. We gained new charger to do the business. As our enterprise is part of extra-curricula that is why this activity is carried out on week end so that students are able to do the business without leaving schools. Having discussion with the team on what product we should produce first, we decided to start from the simplest one to the hardest: pencil box. To start with activity we divided the production teams into sub-groups. Each sub-group consists of three students. They had different job to do. 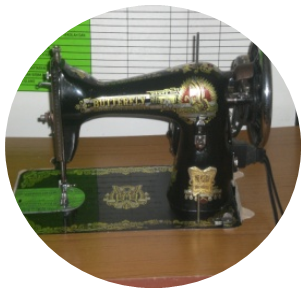 Some were responsible for selecting plastics (basic materials), designing, cutting, and others responsible for sewing. The total sub-groups were 4. 1. Designing. In this stage students design form, size and type of pencil box. There were lot of models students made. 2. Cutting. 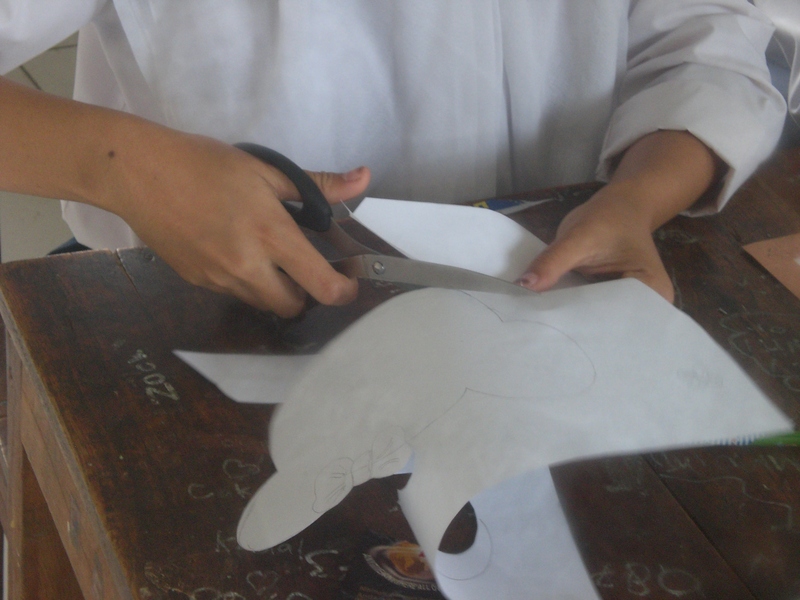 In the second stage students cut plastics according to design the have made. It seemed that this part was the most difficult part. Nevertheless they show great anxiety and excitement to do the activity. 3. Sewing. The sewing process mostly carried out by girls. They were students who have been following extra-curriculum activity for about a year. These two weeks were very busy one to us. The team members had to do a lot of works. Besides doing the business students also had to follow regular lessons at schools so that they did not have a lot of lessons to catch up. This delayed our plan of being able to produce products in time. At the end of the activity we only could finish working on making the final design of end-design. We are planning to do the business in the morning before school time. This decision we hope can give us more time to make our production so that in November we begun to market the product. Before we finished working we had had brief discussion on what to do in November beside finishing what we did today. 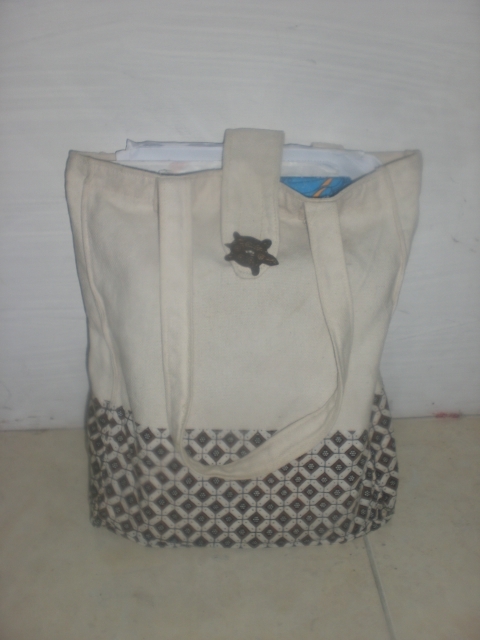 We agreed to do another work that was to start making bag from another waste combined with plastics waste. The teams were really excited to have another thing to do. 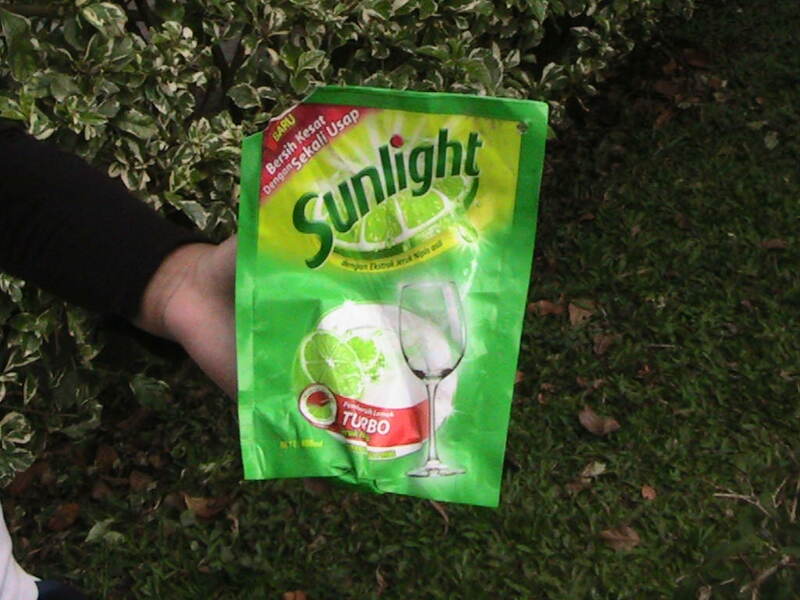 The Project Leader explained that this new product would be bag for many purposes. So, stay tuned on this blog. For last two weeks we were busy implementing the second phase of the business that was screening paint training as had been planed last month. 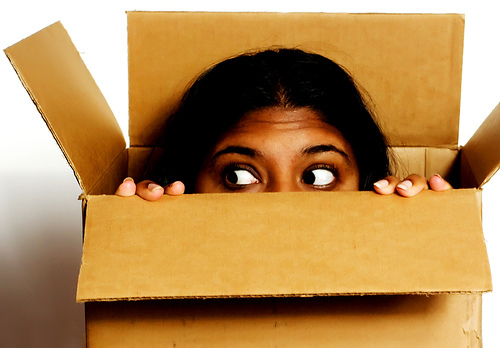 The plan, however, was changed and coloured our business “out of the box” known nationally. Our full reports of the month are as follows. Business facility is one of many factors supporting business activity to run well. Considering its significance, we prepared all what our business needs. Two of those urgent facilities are having room for the activity and rack to store screening painting and other materials. As our school is lack of room, we decided to use my garage as business class where the team work. At first the decision was not supported by the members. Most of the members thought it was unrepresentative and and need a lot of work to do. At the end, all members agreed to the decision after the Project Leader explained that doing any business one must consider resource available. Using any resource available means less expense is spent. Turning a mass garage into a good one meant we had to work hard. The team were divided to do who did what. Another business facility we need is rack. Again, we made ourselves with resources available. All team are involved and work happily. The team really did great job. Above is old Indonesian proverb and came to our business and brought it into a wider market. The Indonesian Minister of Education invited our school to participate on a three-day teacher professional development workshops at national level. 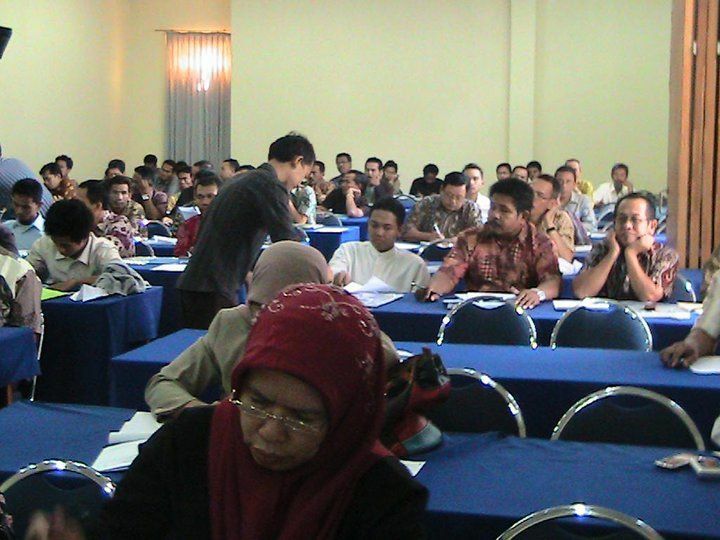 This workshops was held from September 19-21, 2011 attended by more than 200 teachers from 50 different schools. The workshops was officially opened by the head of Education Agency of West Java Province. There were also some representatives from the Indonesian Ministry of Education, and other government officials. What made this event was so important for our business was that we had chance to promote the business and gained wider market place. During the workshops we displayed our activity and have had many questions about the business and our involvement on School Enterprise Challenge. There were some schools interested in our business and would like to be our business partner. 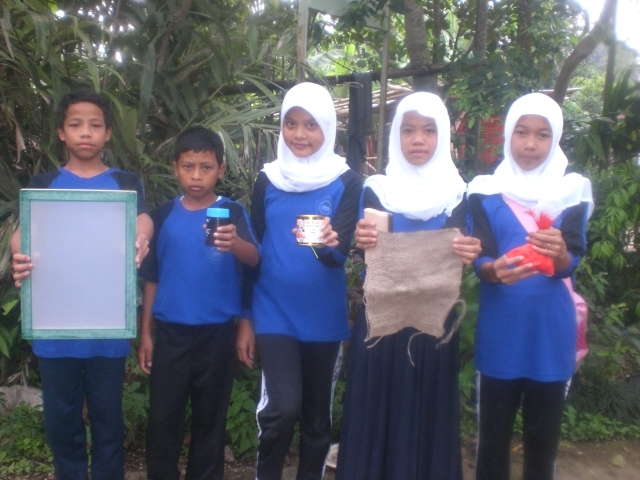 Some schools proposed us to make products with waste-paper based. Another type of business opportunity is ahead our eyes. One of many factors determining business is sustainable customers, – real customers. Sustainable customer mean secure and long-lasting ones. Having such kind of customers will ensure business survive and compete with others. Facts has shown that a lot of business activity was closed as they do not have sustainable customers. Considering this importance, the team decided to establish business partnerships with prospect customers. Creating real customers mean we must give the best service so that they satisfied. Satisfaction will come if we know what customers’ preferences are. To understand our prospects customers, on September 22, we had meeting discussing on how we could gain it. To discus this matter, on September 23, we had another meeting. The meeting started in the morning, ran fruitfully and we agreed on creating survey to collect data needed. The data collection was carried out using survey sheet containing some questions. The next activities were implementing business partnerships and customers’ preferences survey. These two activities were carried out on the same day after we had break time. We then worked based on who do what management and went to different places and should report at noon time. At noon, the team met and reported what the findings were. The first report was from team conducting business partnerships. They reached business partnerships agreement with two prospectus business partners: school and shops and become our business partner for two years ahead and will be renewed for another two years period or longer upon the two parties agreement . Based on the agreement we sell the products on certain condition and our partners are allowed to resell the products at higher price. 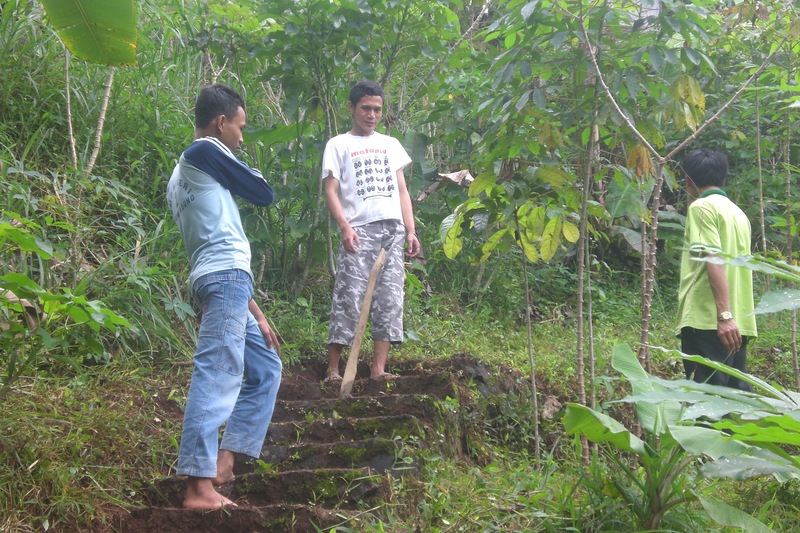 Our business is not all about money we get, but we educating community to be care for the environment. Learning from the experiences that plastics waste is continuing to raise as the producers (companies) are keep producing product s with plastics packing. Those businesses produce plastics waste and effort to alleviate it is really rare. Both government and companies put money as their first priority instead of environmental protection. As a part of reaching our school mission and promote our business we wrote some companies asking their responsibility for waste they produce. We proposed the companies to buy our products made from waste they produce on partnerships base. Unfortunately, to the time we wrote the blog we have not heard any response from the companies (open.innovation@unilever.com; nurulita.arlaida@indofood.co.id). We will not give up, we will keep effort asking them to be responsible for the waste they produce. The business team proposed we should hold more campaign and hold demonstration if necessary. Great team to work with. What the team have learnt from the two activities during the day was that they practiced real business in reality. The team said that during the business partnerships establishment they had to explain all about the business, make sure the business partner and negotiate. The team also said that in the interview activity, at first they felt nervous but as they move from one respondent to another the interview run well. They were really excited doing the interview. This activity was real lesson to students in understanding part of business activity. Based on the interview sheet we understand what customers’ trend towards the products including type, model, colour, price and other related information. The data also reveled what our rival strength and weakness that we can play our role in the right track. All information we collected was very important to our business because they give on how the products should be made according to customers’ preference. This we believe will push our business on top. We realize that running business plastics-waste-based is a hard work and many challenge a head. Community at our surrounding is not used recycle waste nor use recycled product. But, we believe that there is always opportunity behind challenge. All we need is to raise community’s awareness about how important healthy environment to our life is. Having discussion on how our product can be marketed to community we concluded there should be an effort: campaign. Our first step to the effort was getting community attention on what we are doing. We then decided to hold environmental campaign and made preparation to hold this big event. 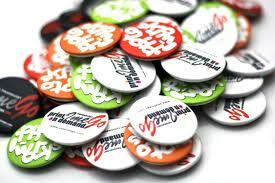 One of those activity was designing the campaign team and made necessary arrangement. We hope this campaign will raise community awareness to use recycled things, our product and to be more care towards environmental protection. Doing business requires people attention both to the activity and product. Business needs to have its own icon reminding people to the product. To reach it, on September 26 the team had discussion on how our business be represented. 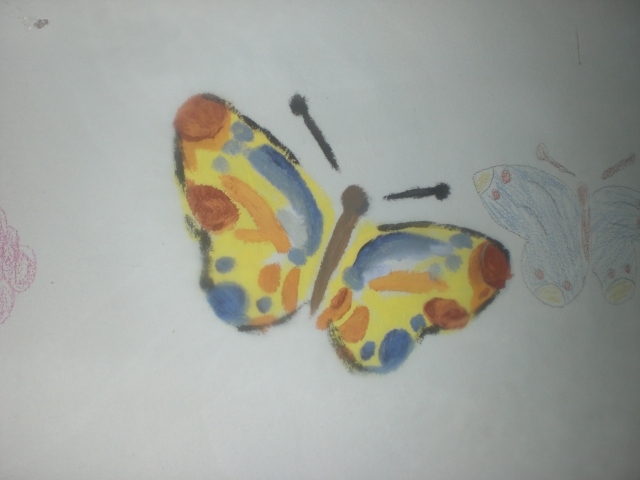 There were many idea and suggestion proposed. Every one had opportunity to explained their argument. We finally reach agreement to have business mascot represented by student covered by black plastics holding a globe. 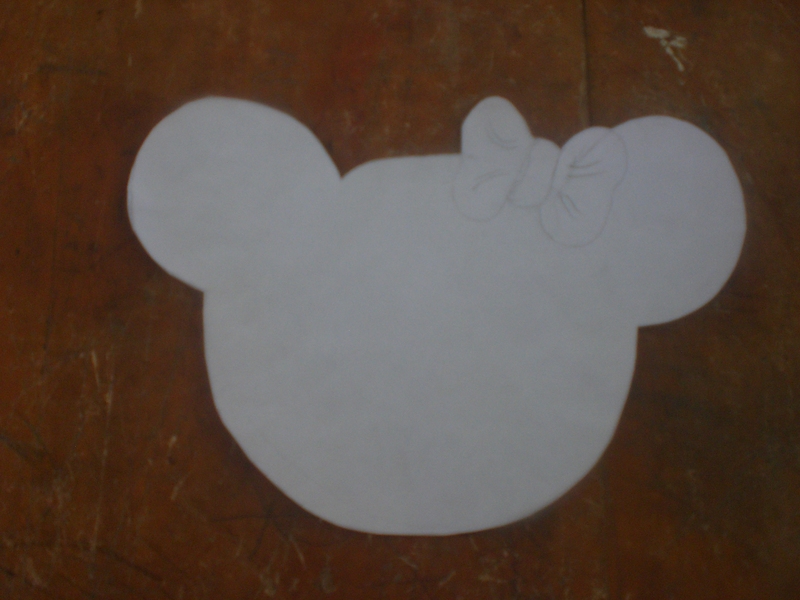 It represents plastics pollutes the Earth. The earth will be dominated by plastics unless people do something about it. Our business, we believe is one of the solution to plastics waste problem. 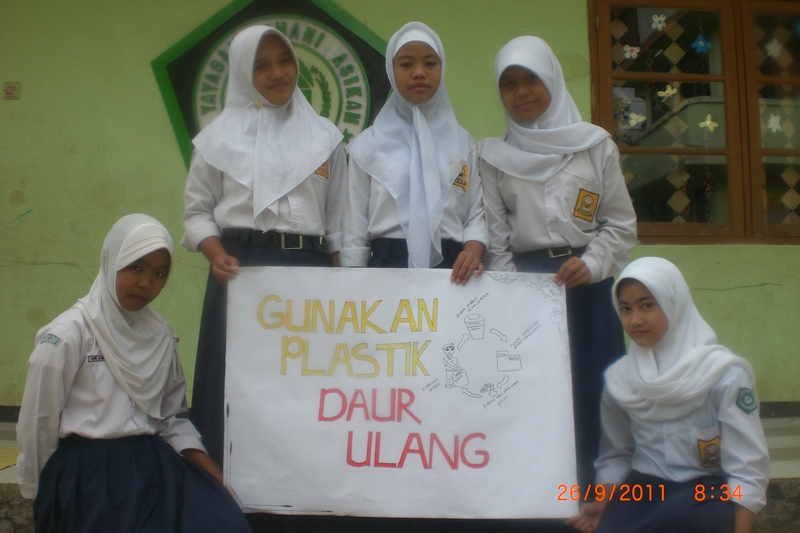 The next activity was environmental campaign to the school and community at the surrounding. The activity started at school opened formally by the Team Leader and later the team spread accordingly. 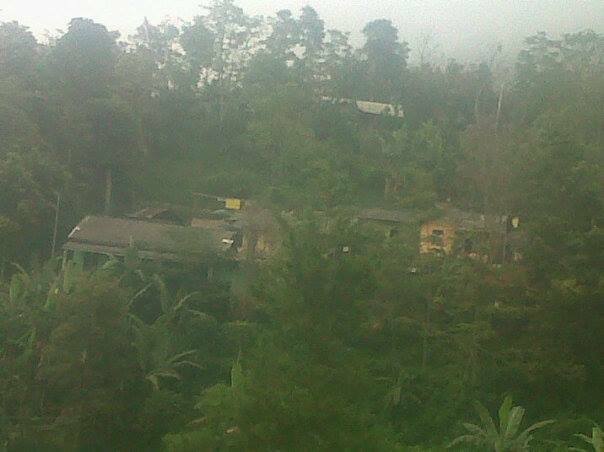 Some students went to schools, community housing, while others to government and private office. 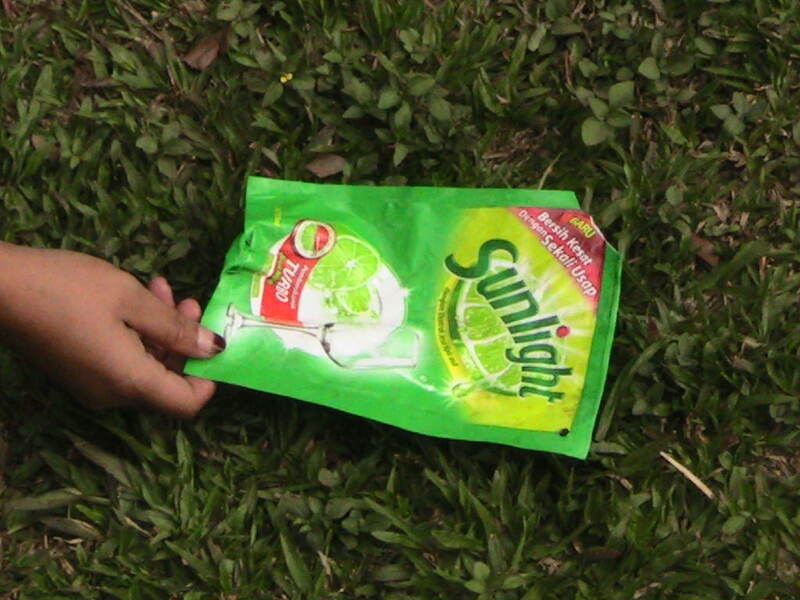 This campaign focused on waste plastics problem to environment, human and other inhabitants of the Earth. The team persuaded and called on people to reduce plastics usage and use recycled products. During the campaign the team looked so excited and had good response from the people. Today we did not have much to do except finishing rack to keep the materials needed for the business. This work was started two weeks ago and today we could get things all done. It is our policy that in every work every one should get involved. Some team members doing wood work, polishing and others painting the rack. Every one played his own role. We were happy being able to keep the members cooperating. Things become easier when we cooperate. By the end of this month we believe,we are ready to begin producing our products and begin to sell the product in November or earlier. That is why, starting tomorrow our plan is focused on product production. We have checked all necessary arrangement for the rest days of the month. We have solid business team, business facility, business partner and financial support. We are ready to the path of business’ production as things are set. Markets are waiting for us! We were happy because we were on the track to finish all activities of this month. As has been planned before the last day of September will be used for production training activity. To begin with all production team, all are 8 grade students had a meeting to have brief explanation. This meeting was lead by Project Leader and facilitated by Production Coordinator and last for about 2 hours. The main agenda of the meeting was to give training on how we produce plastics waste-base product and was hoped it could raise members’ product innovation. At the opening, the Project Leader re-stressed the main goal of the business and our participation on the School Enterprise Challenge. “As we are all aware that plastics has been causing problems to environment, that is why our business is not all about money we want to get, but most of all we want to lessen the environment’s burden from plastics waste. But, our business will of course turn into a successful one if we all do it seriously, patiently, and work hard. We all are agree our business is an eco-friendly enterprise, doing business while protecting our environment”. That was the main point of what the Project Leader reminded us. He also mention that we were one among the sevenths best blog writer of August entry. We would work harder to be the best! 8. Reverse for second time so that the outside look of the plastics turning into as it looks first. The training lasted for about two hours. All team members still shown spirit. We then had discussion on how our product could be marketed well. There were many ideas came up, we loved to hear those thought. One of the idea that we discuss further was we should make the products as close as to customers’ preferences. This is particularly for teenagers where they usually have their idol. 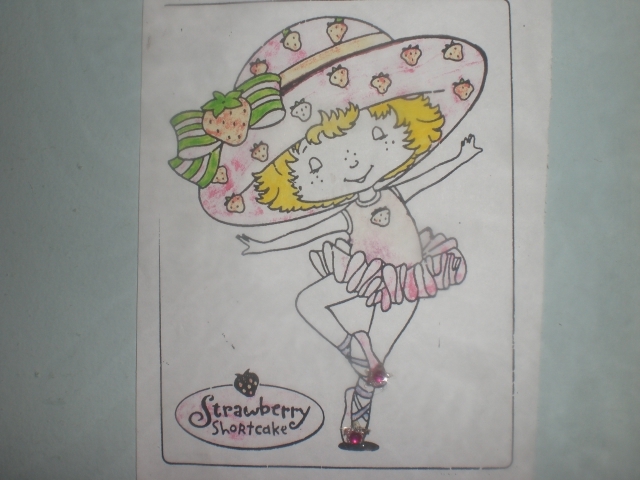 Members agreed to make product based on order where customers can have their own drawing or pictures on the products. Other team members still wanted the plastics just the way they are. This is as part of the environmental campaign effort. “We need to show those plastics producers that they left waste, and we care of those waste”. One of the team members argue. To cover those two ideas, we agreed to diversify the products: one just the way the plastics waste are and the other by giving innovation to make the product more interesting. We believe this product diversification will enrich our business. We ended today activity by shaking hand to each other, hoping for the best!! Students beside dry plastics their "future business"
1. When the washing machine (diesel) is ready to operate it will replace washing process manually. 2. 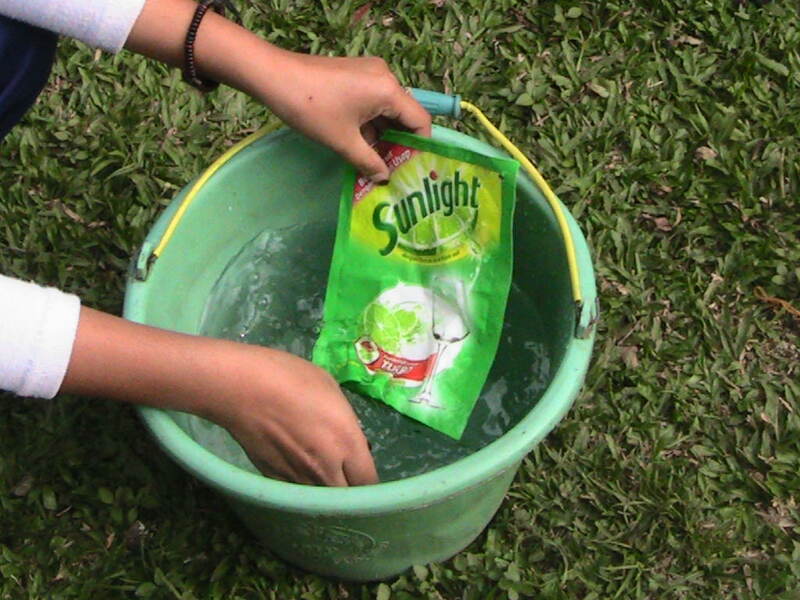 The washing machine will next be replaced by an eco-friendly energy sources, such as water, wind or solar (sun) energy. 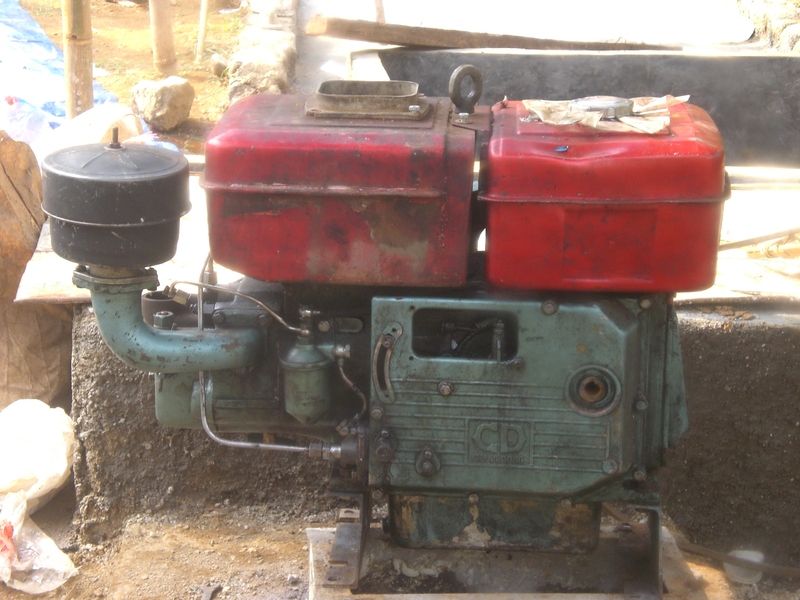 At the mean time, diesel is generated by fuel. 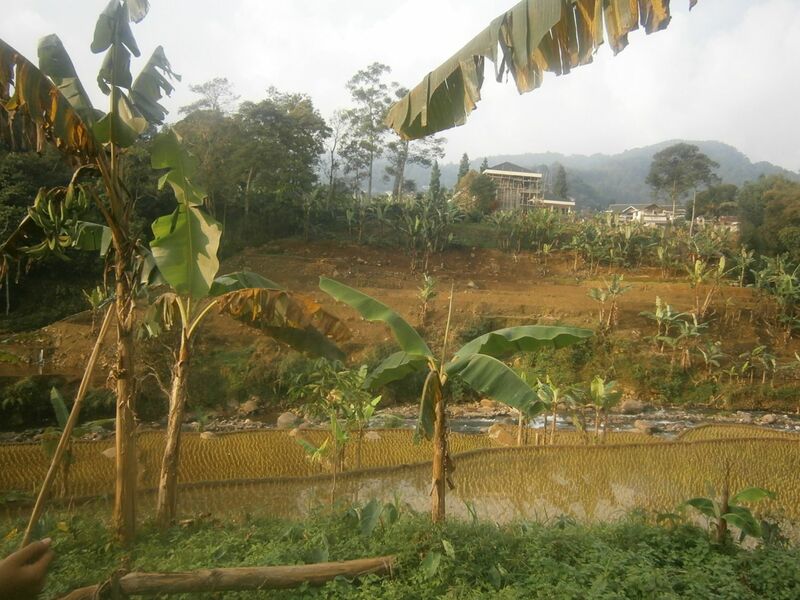 The use of natural energy is anticipated towards the big project establishing sustainable school. is a starting point to the project. 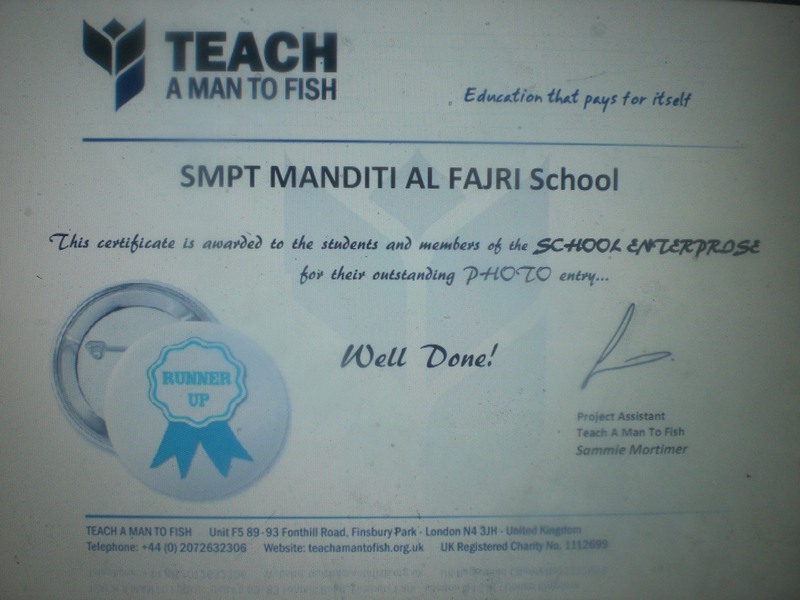 New school year of SMP Terbuka Mandiri Al Fajri is started. End of long holiday season took us into busy days. New students and new schools years brought a new hope for the school. It took our school some times to decide on what our business to be submitted. There were some suggestion came up ranging from food-based business; farming-based business to eco-friendly-based business. Having a long but fruitful discussion and debate we finally agreed to run business driven from our school’s vision and mission-a modern waste and environment-based school. Thus, we will run life skill for a better life: an eco-friendly plastics waste-based entrepreneurship as stated in Business and financial plan. 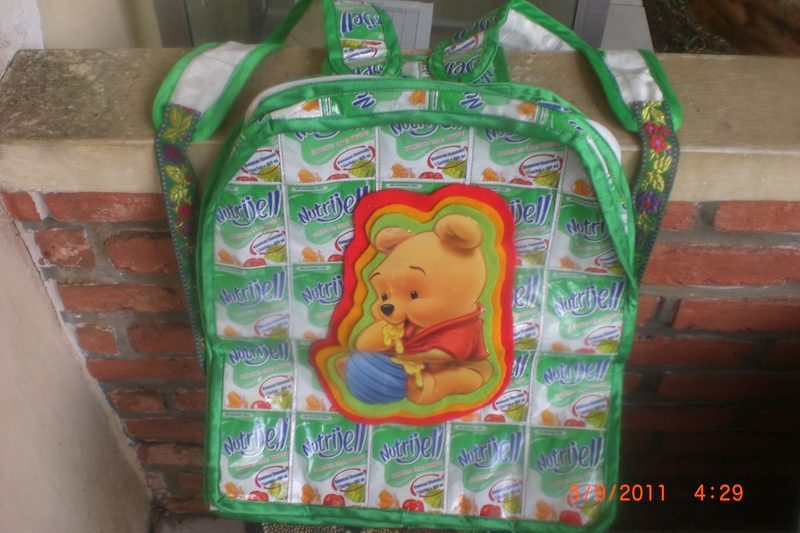 We will recycle plastics waste into more useful stuff: bag, rain coat, pencil case, and others. 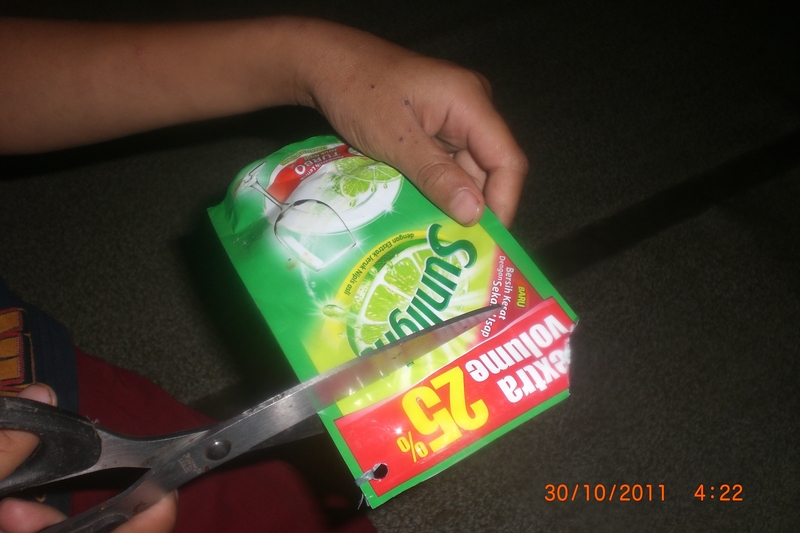 The use of plastics tends to rise day by day. Indonesian Central Bureau of Statistics recorded during the period of January to August 2010 Indonesian import of plastics was $3,1 billion. It was more than 100% higher than the previous year. 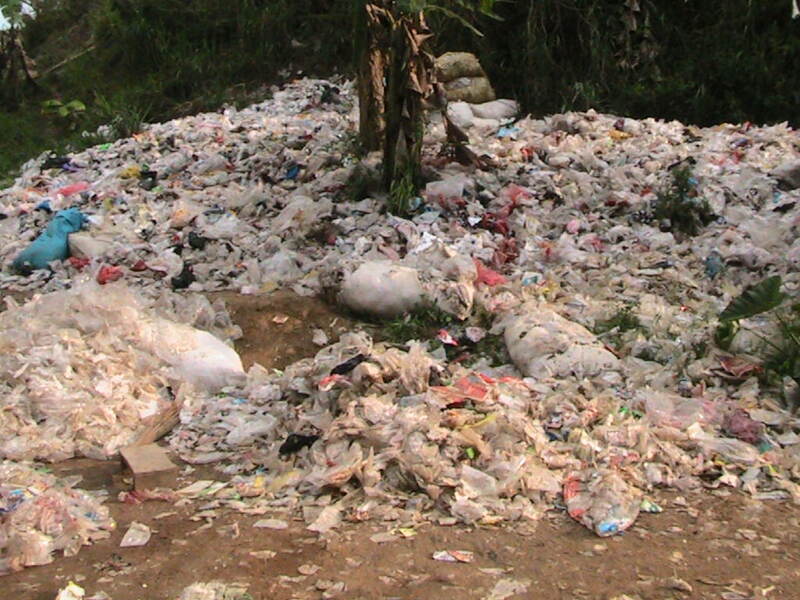 In the line with the increment of plastics use thus plastics has caused problem both to people and the environment. 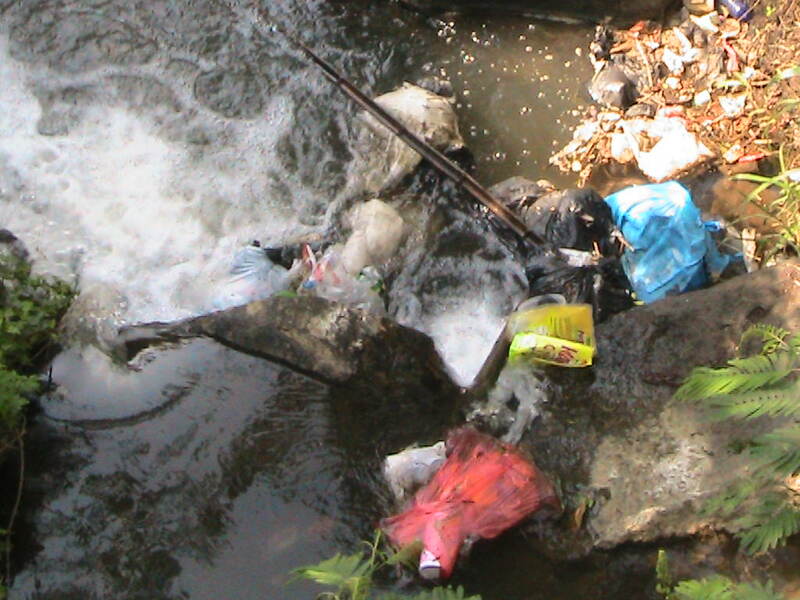 Plastics waste are easily be found at office, schools, home, land fill, river or beach. The sustainability of the business is supported by resources available. 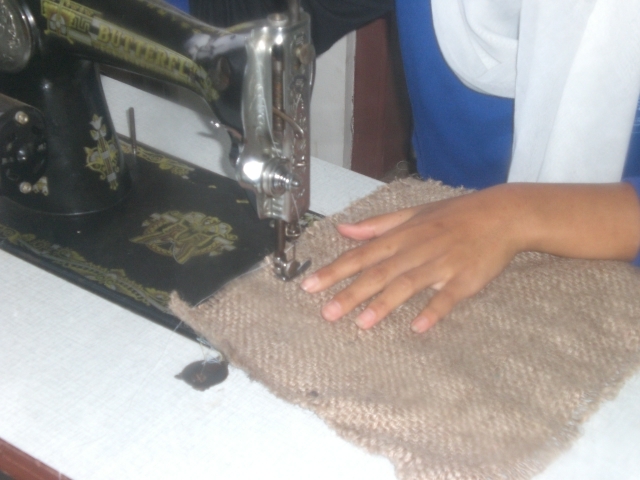 Among them is that our school has been running sewing program for the past two years. 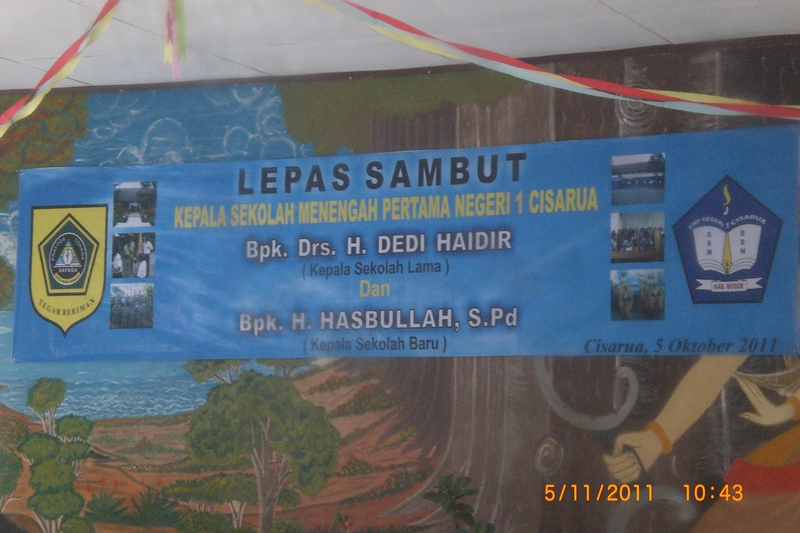 In addition to this there this program is supported by Indonesian Minister of Education. Based on market feasibility study conducted, in the local area there has been no similar business. Thus, such business is very appropriate. In addition to this, its basics materials are easy to get so it does not require a relatively high operating cost. Realizing the feasibility of our business depend on financial availability, we had fun raising activity. We made business proposal submitted to Minister of Education and followed by a-4 day workshop (July 15-18, 2011) discussing on the possibility. It was concluded that the Minister of Education will support our program. The success of our business, we believe depends on school stakeholders’ involvement. That’s is why we involve them from the very beginning to the end of the business. To reach this goal every student and teacher are provided with waste plastics collection form, on which they write amount of plastics they collect. The overall activities is managed by business team under supervision of Project Leader. The business team is consist of Field Coordinator with sub-team of Processing and Marketing; Students and Teacher Coordinator with sub-team of Students and Teachers. In the phase I student, teachers and other school stakeholders collect plastics waste from home, school, river, landfill and other places Plastic Colllected. 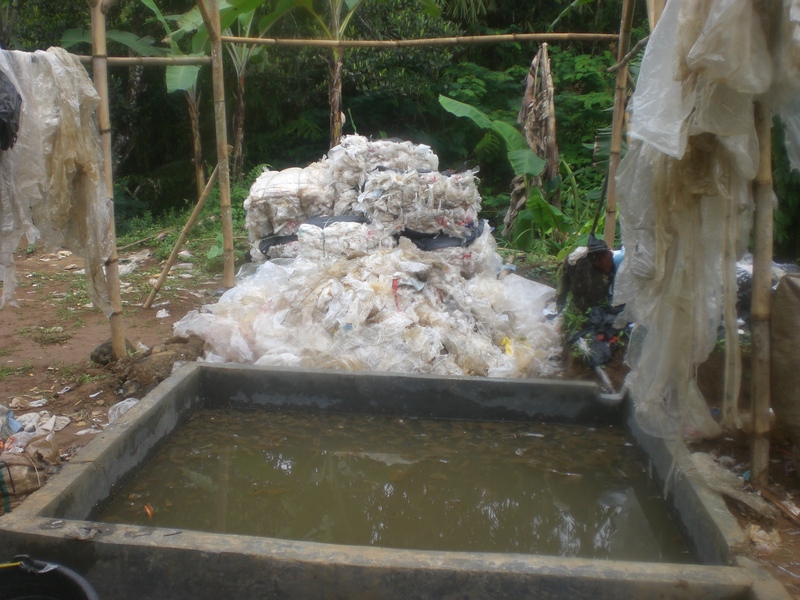 The next activities we carry out is washing and drying those plastics. 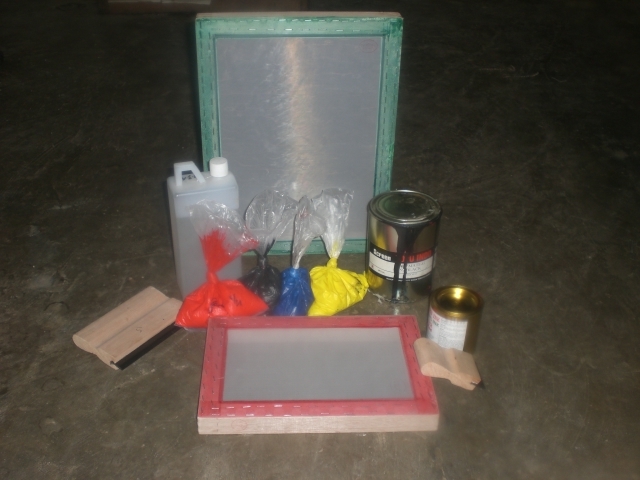 In the phase II of the business there will be some activity including screen printing training, making the product, and marketing the product. The first activity has begun in August, followed by making and marketing the product in the following months. Those activities will be in two phases as shown in Business Phases and carried out fully by BusinessTeam. In the following months students will learn how to design images, screening print, design stuffs and market them. This will be another exciting activity. So, stay tuned!